The new Mac, code-named Q88, will be part of the iMac family and is expected to sport a PowerPC G4 processor at a speed around 1.25GHz. 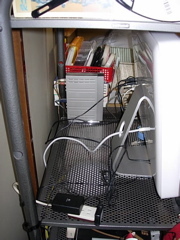 The new Mac is said to be incredibly small and will be housed in a flat enclosure with a height similar to the 1.73 inches of Apple's Xserve. Its size benefits will include the ability to stand the Mac on its side or put it below a display or monitor. 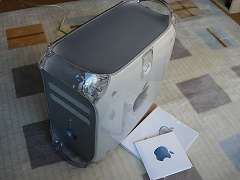 iMac G5 : Virtual PCが速い! 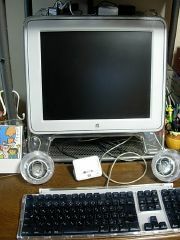 続きを読む: iMac G5 : Virtual PCが速い! Bento 3 : MacBook Airで起動せず!? Mac OS X Snow Leopard...噂通り8月28日発売 !!! Get a Mac CM - "Time Machine" ...いつもと役割が逆? Macworld Expoの"There's something in the air"
Mac OS X 10.5 Leopard は10月26日出荷?